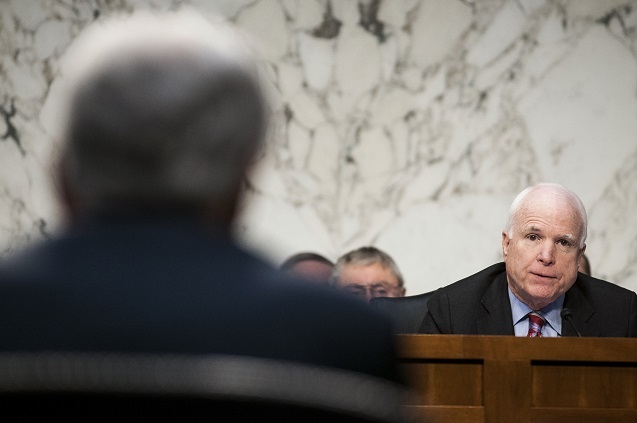 Sen. John McCain questions Chuck Hagel during the defense secretary’s testimony before the Senate Armed Services Committee regarding military budgets, on Capitol Hill in Washington, March 5, 2014. (Photo: Gabriella Demczuk / The New York Times).D.R. History is repeating itself in the worst possible way, and if we don’t learn our lessons, we could have another 9/11 on our hands a lot sooner than you might think. Today, fighters from the Islamic State of Iraq and Syria, or ISIS, continued their push towards Baghdad. The group now controls a whole swath of territory ranging from the Euphrates valley in Eastern Syria all the way down to the string of cities surrounding the Iraqi capital. If you made a list of the nastiest people on earth, ISIS would top the list. The group was actually kicked out of Al-Qaeda for being too extreme and has been pretty open about how it wants to « cleanse » the « filth-ridden » Shia holy cities of Najaf and Karbala. When it comes to terrorist groups, ISIS is really the worst of the worst and threat to everyone everywhere, which makes it all the more the shocking that it’s apparently found a friend in none other than Arizona Sen. John McCain. As Steve Clemons has pointed out in a blockbuster piece for The Atlantic, McCain, along with South Carolina Sen. Lindsey Graham, has played a key role in getting the Saudi Arabians and the Qataris, our allies, to arm rebel groups in Syria that are fighting the Iranian-backed government of Bashar al-Assad. Publicly, the Saudis and the Qataris say they’re only sending weapons to « moderate » rebel groups like the Free Syrian Army, but they’ve also reportedly been arming more extreme groups – groups like the Al-Nusra Front and, you guessed it, ISIS. This isn’t some crazy conspiracy theory, either. As Clemons points out, John McCain’s connections to the Saudis are well documented, and during an interview with CNN‘s Candy Crowley a few months ago, he went out of his way to praise both the Saudis and Prince Bandar bin Sultan. Now, we don’t know whether or not John McCain knew that he was helping the Saudis arm ISIS, and my guess is that he didn’t know, but that’s a separate issue. The important point here is that intentionally or not, John McCain may have just set us up for another 9/11. ISIS has its sights on Iraq and Syria right now, but there arereports that it’s threatened to attack targets in the West as well. This is history repeating itself in the worst possible way. Back in the 1980s, the CIA, the Saudis, and the Pakistanis worked together to fund the mujahideen in Afghanistan. The mujahideen were radical Islamists, but we thought it was worth it to support them because it was the Cold War and they were fighting the Soviets, who had invaded Afghanistan in 1979. Whatever good intentions Charlie Wilson may have had, his plan backfired and it backfired badly. Our support for the mujahideen against the Soviets – just like our support for the Khmer Rouge against the Viet Cong and our support for the Contras against the Sandinistas – had a huge blowback effect. You see, one of the people who we and the Saudis armed back in the 1980s was a rich Saudi named Osama bin Laden, who, like a lot of Muslim radicals from all over the world, saw the fight against the Soviets as a chance to prove his worth as a holy warrior. Bin Laden went on to form a group known as « The Base » out of the remnants of his Saudi-backed mujahideen force. You probably know « The Base » by its Arabic name: Al-Qaeda. The rest, as they, is history. 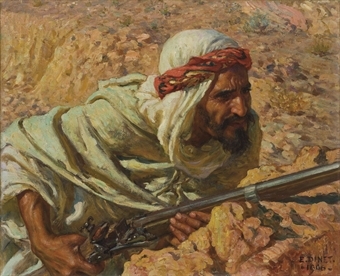 There’s an old saying that those who don’t remember their past are doomed to repeat it, and if we’re not careful with what’s going in the Middle East right now, we are going to see a repeat of what happened just two decades after we armed the mujahideen in the 1980s. In today’s real-life remake of « Charlie Wilson’s War, » John McCain is playing the role of Charlie Wilson and Abu Bakr Al-Baghdadi, the head of ISIS, is playing the role of Osama bin Laden. It’s only a matter of time before this remake, like all remakes of crappy movies, comes to a crashing, disastrous end. You heard it here first: John McCain might have just set us up for the next 9/11.